The Northern Provincial Council (NPC), which came into being in September 2013, after elections landmark had raised much hopes among the people in the Tamil-majority province as well as in India and the international community. It was thought to be the panacea for the ills of the Tamils, with the moderate Tamil National Alliance (TNA) securing 30 out of the 38 seats up for grabs and an apolitical and urbane Supreme Court Judge, C.V.Wigneswaran, topping the list of preferential votes and becoming the province’s first Chief Minister. The NPC was a historical landmark as it was the first elected council in the province even though the provincial councils system had been introduced following the India-Si Lanka Accord of July 1987. In November 1988 elections were held for a united North-Eastern Province. But the Council headed by A.Varatharajaperumal of the Eelam Peoples’ Revolutionary Liberation Front (EPRLF) was wound up in March 1990, after an unsympathetic SL govt and the violent Liberation Tigers of Tamil Eelam (LTTE) joined forces to cripple it. With the North-Eastern Province becoming a major combat zone in June 1990, further elections to the North-Eastern Council were not held. But with the liberation of the re-created Eastern Province in 2007, elections to a newly constituted Eastern Provincial Council were held in May 2008. But the Northern Province had to wait till 2013 as it had to be cleared of the LTTE, de-mined and 300,000 displaced persons had to be resettled. Given lurking suspicions about an LTTE resurgence, the former regime was very reluctant to hold provincial council elections in the Northern Province, though parliamentary and local body polls were held. Rajapaksa knew that any provincial council election would be won by the TNA which had been a faithful appendage of the LTTE recognizing the latter as the “Sole Representative of the Tamil people”. Former President Mahinda Rajapaksa took the TNA’s post-war open disregard for the LTTE with a pinch of salt. However, four years down the line, Rajapaksa allowed the council to be established and elections held. But he put spokes in the wheel, refusing to replace the Governor who was a former military Officer (Maj. Gen.G.A.Chandrasiri), with a civilian. Chief Secretary R. Wijelutchumi was encouraged to defy the Chief Minister as she was technically under the control of the Governor, who was a functionary of the Centre. However, eventually, under international pressure, the “military” Governor was replaced by a civilian. But relations among the Governor/Centre and the CM did not improve despite the change. Meanwhile, CM Wigneswaran and the NPC had upped their ante and had started passing harsh resolutions against the govt, including one on the continuing “genocide” of the Tamils. The NPC became a propaganda platform to address the international community and the UN Human Rights Council (UNHRC) which wanted the former regime to address war crimes charges against the Sri Lankan armed forces in the last phase of 2006-2009 Eelam War IV. According to the Leader of the Opposition, S.Thavarasa, the Wigneswaran-led NPC did precious little to administer the province and spur economic development. The council would rest content passing political resolutions. According to Thavarasa there are 38 items of administration on which statutes could be passed, but only a few have been passed. Funds that there were sent by the Centre would go unspent and kept for the next year because of a lack of schemes for spending. But the CM would whine about lack of allocations from the Centre. He would show no interest in development projects, either saying that these projects had been chosen without consulting in the NPC or that a political solution should precede economic development. International industrial Exhibitions would be held in Jaffna, but the NPC would take no notice of them to get investments. The CM has gone to the extent of saying that local resources should not used by industries as that was tantamount to exploitation of the area’s natural resources. He would do nothing to encourage local unemployed youth to join the labour force in the public or private development works projects in the province but would complain about non-Tamil outsiders being recruited. According to Thavarasa, CM Wigneswaran would by-pass established administrative rules, showing lack of experience in running an administration. Ministers and council members too lack capacity. Having kept out of administration for three decades or more, on the plea that they were fighting for the Tamils’ rights and not for office, they had not learnt administration. When Thavarasa recently pointed out errors in administration in 20 cases, the CM was hard put to it to take up more than 11 cases. But in his reply he launched a personal attack on Thavarasa, accusing him of using the NPC to gain cheap popularity. “The CM did not answer my points,” Thavarasa said. Politically, the NPC is in a mess, with the CM falling out with the TNA leadership comprising R.Sampanthan, Maavai Senathirajah and M.A.Sumanthiran. 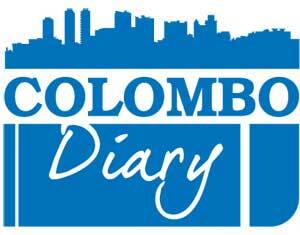 Wigneswaran kept criticizing the trio’s policy of getting along with Maithri-Ranil government. He pitched for a stronger line on the Tamils’ demands. 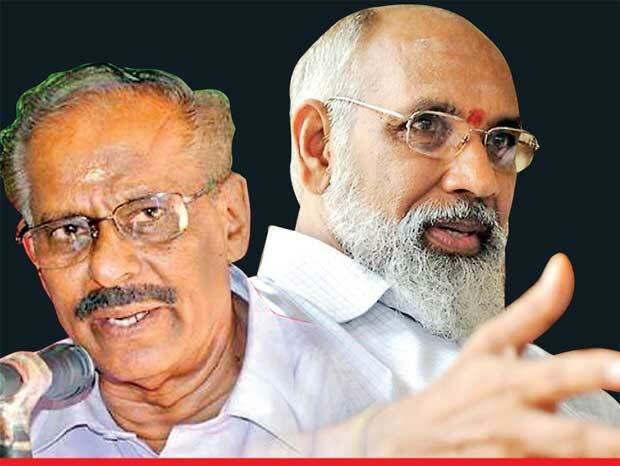 When the TNA leadership tried to discipline him, Wigneswaran claimed that in the last elections, he was the peoples’ candidate and not a TNA candidate. But at the same time, he denied plans to quit the TNA. He established the Tamil Peoples’ Council (TPC) comprising academics and elements from the TNA which were alienated from its leadership. The TPC became a platform for radical Tamil nationalism. The TNA, which is an amalgam of several Tamil parties, started cracking up with some parties like the EPRLF led by Suresh Premachandran accusing the largest constituent, the Ilankai Tamil Arasu Katchi (ITAK), of taking decisions unilaterally using its numerical strength. The TPC and the anti-ITAK group congregated around the CM while the ITAK was against him. Tension reached a high point after the CM probed corruption charges against all four of his ministers through a committee comprising outsiders. Two ministers who were found guilty were asked to step down. But he also asked the two others who had been exonerated, to go on leave on the grounds that there were fresh charges against them which had to be investigated. 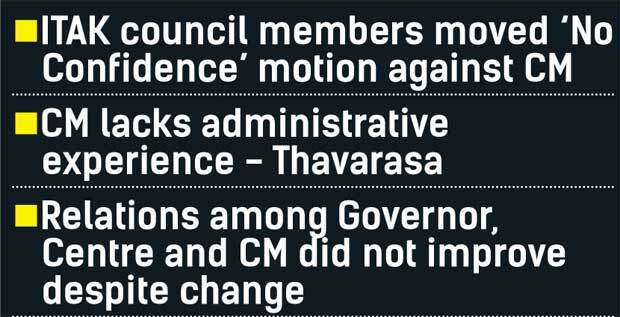 The ITAK felt that this was unwarranted and all 15 of its councillors went to the Governor with a No Confidence Motion against the CM. But sensing that this could result in the collapse of the NPC, interested parties intervened and truce was brought about. However, unhappy with the way the Chief Minister Wigneswaran was running the Board of Ministers, the ITAK decided to withdraw from the Board. Health Minister Dr.P. Sathiyalingam resigned, though Ananthy Sasitharan who had fallen out of favour in the ITAK, remained. Meanwhile, there was a crisis in the Tamil Eelam Liberation Organization (TELO), a constituent of the TNA. The party leadership wanted B. Deniswaran, the Minister of Fisheries to resign from the Board of Ministers. But he refused to oblige. On Sunday, the party suspended him for six months. The NPC has one more year to go. It is expected to limp its way to dissolution in 2018, but without doing any development work in the province. The composition and nature of the post-2018 NPC are expected to be different but whether it would perform or not is a matter of conjecture as the political class in the Northern Province is not yet attuned to economic development. Opinion: Northern Province had highest growth rate in 2015. Good news for North or not?